It has been a brutal summer -- so hot, that on most days, I wouldn't even let my kids play outside! With 3 active little boys and a girl who likes to ride bikes and practice volleyball outside, however, it was inevitable that I let them journey out into the sweltering humidity. Parents used to not have many options for hydration. It was water.. and, well, water. Now, however, there are all kinds of products on the market designed for keeping kids cool, hydrated, and full of good things (like electrolytes) so that they stay healthy. So many of them, however, are chock full of sugars and empty calories. What parent wants their kids filling up on calories in a drink? Not me! Understand, that as a Mom, you have an important role in keeping your child safe from heat-related illness. Educate yourself on how to prevent it. When drinking water, the brain may turn off the perception of thirst before the body gets what it needs. Electrolytes in products like Gatorade, however, help maintain the stimulus to keep drinking! Be aware of the type of equipment your child wears during activity. Lighter net-type jerseys, and t-shirts are a best bet, and Moms should encourage kids to change their sweaty clothes often. If kids aren't playing, helmets and other heavy equipment should be removed to avoid having the child get too hot! You can download a free Gatorade Heat Safety Kit for more useful tips. For every unique download, Gatorade will donate $1 to "Beat the Heat" charities -- up to $20,000! 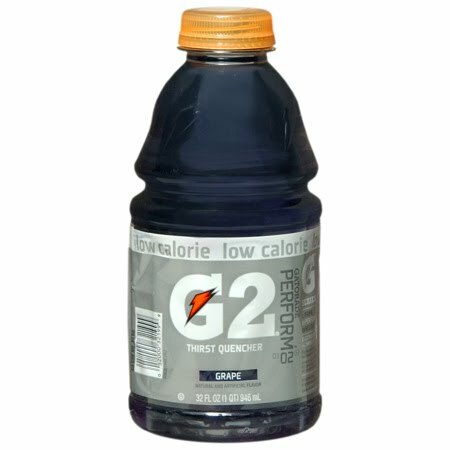 *I wrote this review while participating in a blog campaign by Mom Central on behalf of Gatorade’s “Beat the Heat” campaign and received Gatorade samples to facilitate my candid review. Mom Central sent me a gift card to thank me for taking the time to participate.